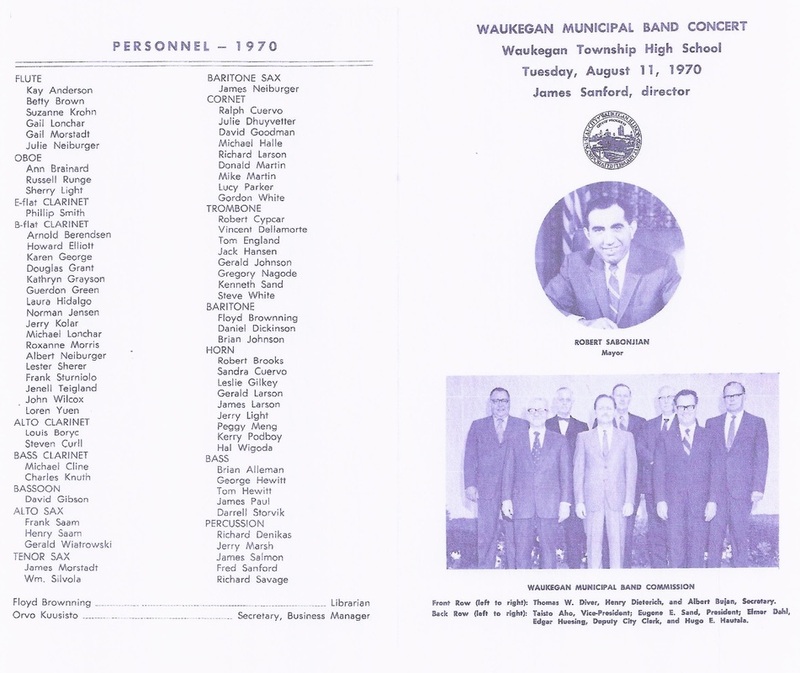 The search for the origins of the Waukegan Municipal Band, immediate predecessor of the current Waukegan Band, has generated both anecdotal and historical evidence. We have heard the 1936 date from several local families active in area music and community band for generations. 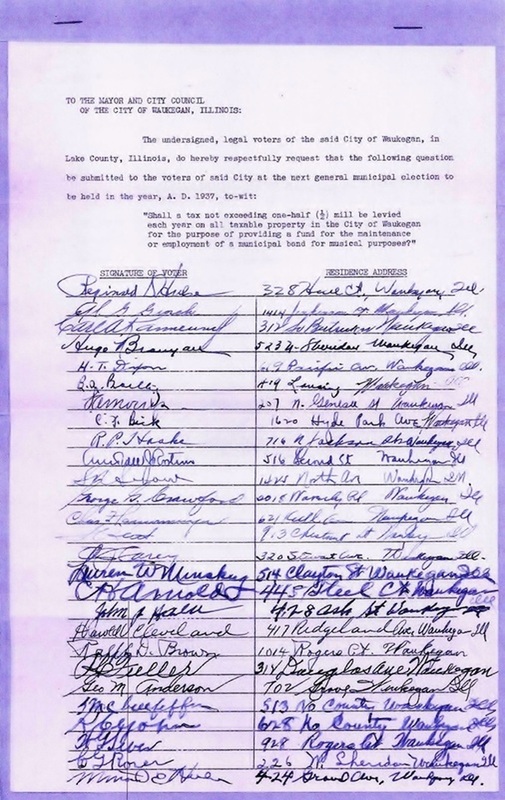 We solicited and pursued documentation from the Library of Congress, the National Archives, the Illinois State Historical Society, Lake County Museum, the News Sun, and the Waukegan History Museum about our roots. Locally, we have heard of several ethnic American immigrant nationalities early in the Twentieth Century who were actively creating ethnocentric musical groups (including Slovenian, ﻿Finnish ﻿and other performers). Was the ﻿1919 American Steel and Wire strike just the beginning or continuation of their collaboration among first and second generation Finnish and Slovenic immigrants? According to the internet research linked to our local history, the largely Finnish American Steel and Wire Band had performed often to attract attendance at labor rallies and both populations were split between secular and clerical adherents. Does anyone have family photos or old yearbooks from the local musical heritage of the Steel and Wire Band, Mother of God Church, the Slovenic National Home, the Finnish Evangelical Lutheran Church/Temperance Hall, Workers Hall or other venues? 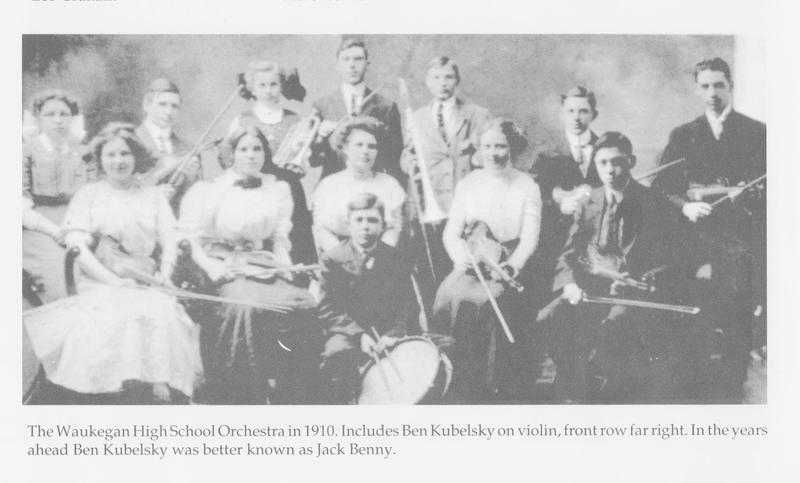 It is also known that the Waukegan Township High School had wind instrument musicians then, as seen in the high school's band room and yearbooks, and we suspect other ﻿immigrant and established populations﻿ had performers among them, including ﻿﻿﻿﻿﻿Benjamin Kubelsky ﻿﻿﻿﻿﻿on violin (above) in the 1910 high school yearbook. 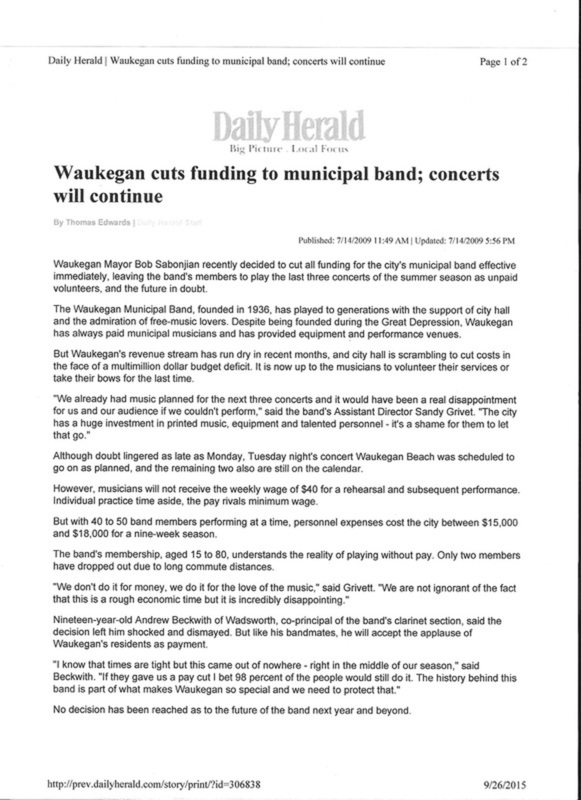 Apparently, Waukegan (an emerging Illinois industrial center) did not receive Federal Music Project dollars within the Works Progress Administration of the New Deal recovery program during the Great Depression (click here for impact elsewhere). 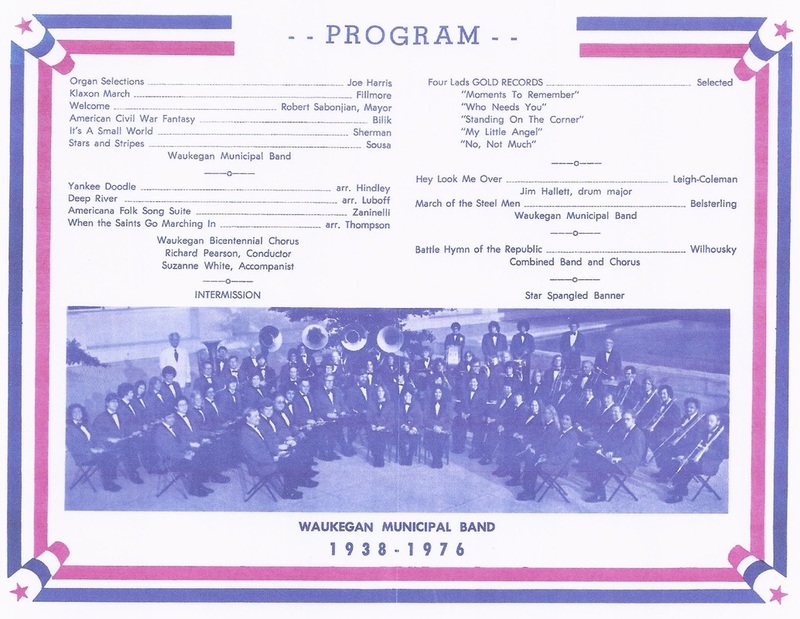 We suppose that if you count the existing documented area bands that fed into the original "Waukegan Municipal Band," that you might historically reach back further into the Waukegan musical past for our genesis. 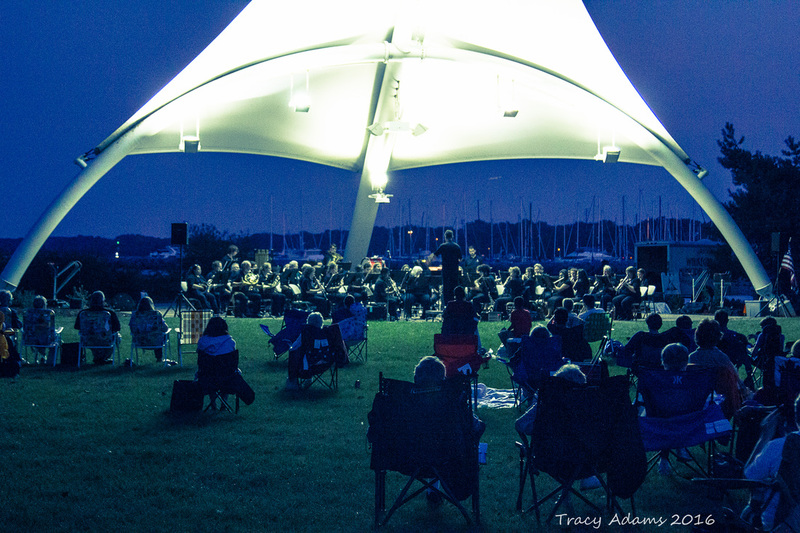 Participation in a community band is another expression of the "American melting pot" assimilation, where immigrant and established communities blend and instrumental merit earns respect within ensemble performances. 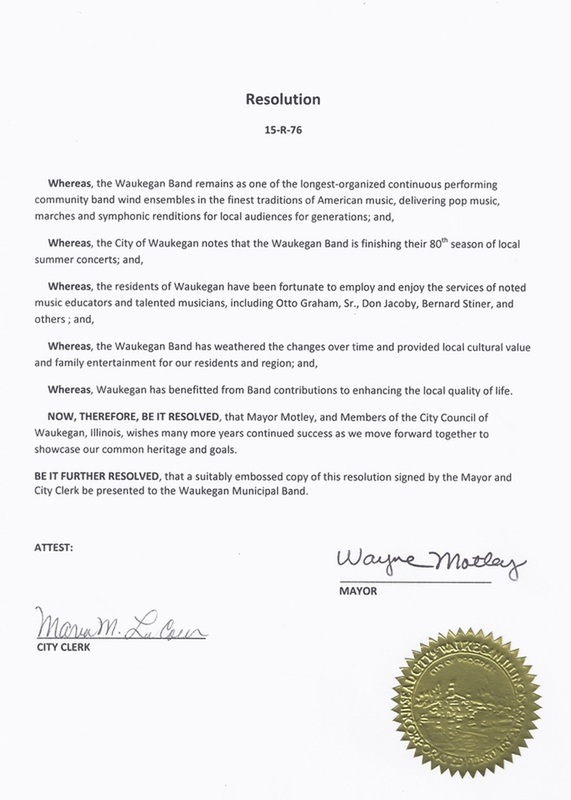 Our local resource, the wonderful ﻿Waukegan History Museum﻿, has provided valuable but conflicting information about that 1936 Waukegan Municipal Band origination date. It has been suggested that 1937 or possibly 1938 may be the "true" beginning , but we suspect (after due diligence) that this musical entity may be an evolution during those emerging industrial/urban and Great Depression years. One of the News Sun's (Copley) publications illustrate (above) a house band "Tickletoes" at the Hotel Karcher in the 1920s, suggesting a local music "scene." We are most proud to be among the country's oldest continuous performing wind ensembles. Still, no defining primary source documenting the precise "starting point" or identifying "founding member musicians" has been found...you be the judge for yourself as to when this journey "began". Any further clarification is subject to the opening of attic trunks. Welcome to our musical mystery tour! Did you know that Otto Graham, Sr. (in white tux), father of the former NFL Cleveland Browns Hall of Fame quarterback and an accomplished music educator, was formerly President of the Waukegan Municipal Band Board? One son, Eugene, had won National Championships for both Oboe and English Horn. 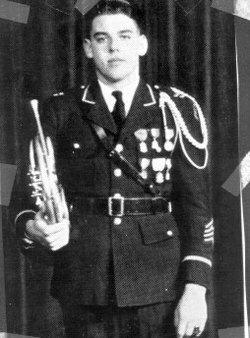 It looks like the famous athlete also had some fatherly influence as he (Otto Graham, Jr., in uniform, a multisport gifted athlete) won with his French Horn excellence, in a 1938 National Championship four horn combo!! 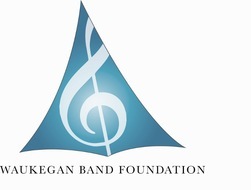 March 16, 2013 at 1:45 pm " I played in the Waukegan Municipal Band from 1946-1952 when Jake was the band director. Every summer he would solo with the band twice. He played Stabat Mater and Del Steger's Carnival in Venice every summer. I also heard him solo with the U. of Michigan band in Joliet in circa 1960. I never heard any slips of any kind, he always hit right on. I also spent many hours at his house in Waukegan and with him in Chicago when he was the band leader on The Breakfast Club. I have so many fond memories of Jake it would take ream of paper to write all of them. I retired as a band director from the Joliet Township High Schools in 1987 but I still think of Jake often." We've gotten a few older programs (1970 and 1976) from the Waukegan History Museum for your visit through our musical past. At this writing, further information about then-Director James Sanford has not yet been discovered, but years of local familial musicianship lives on among the band's personnel. 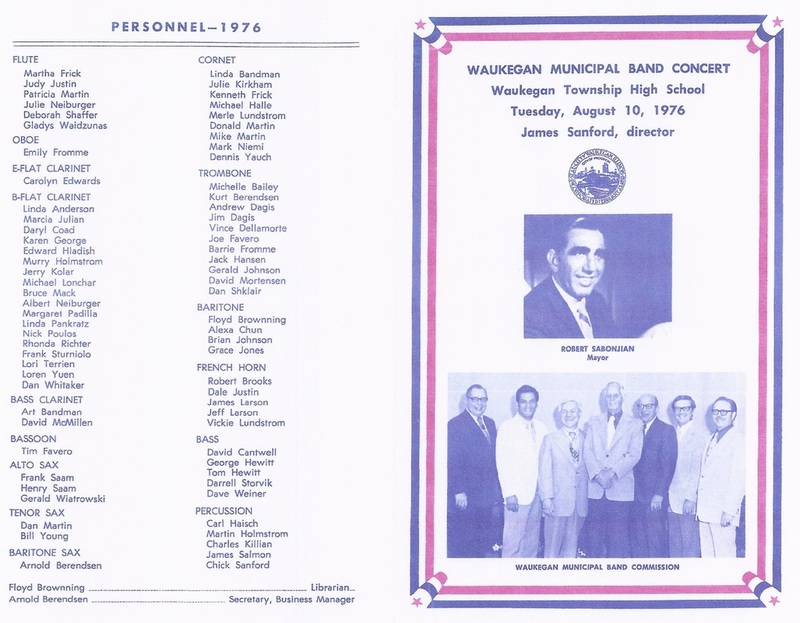 Did you know another of our former directors, Bernard H. Stiner whom the Waukegan lakefront bandshell and our college scholarship are both named for, received the 1987 Outstanding Bandmaster of the Year Award? The recognition from Phi Beta Mu is "presented annually to the member who has distinguished him or herself through developing consistently stellar performing ensembles." 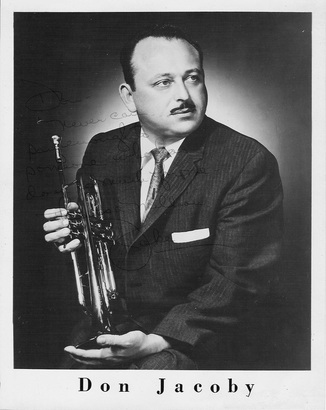 Mr. Stiner's outsized influence within Midwestern music circles was characterized by rigorous rehearsal and practice standards (as his former students would testify), his network among music educators, and the Rust Belt outmigration from Waukegan among those influenced by him. Bernie and his wife Caryl were both known to encourage many musicians-in-training... providing generations and now decades of regional entertainment. 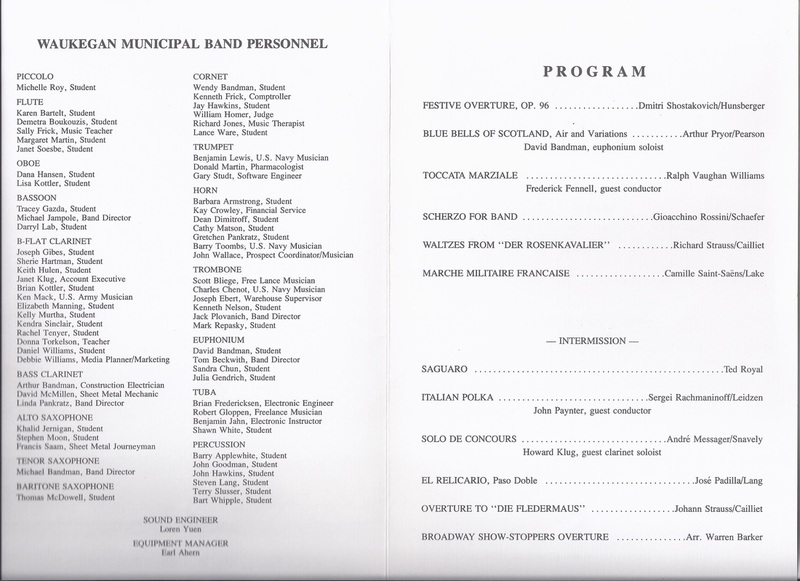 A 1986 program from our band veteran Joe Gibes. 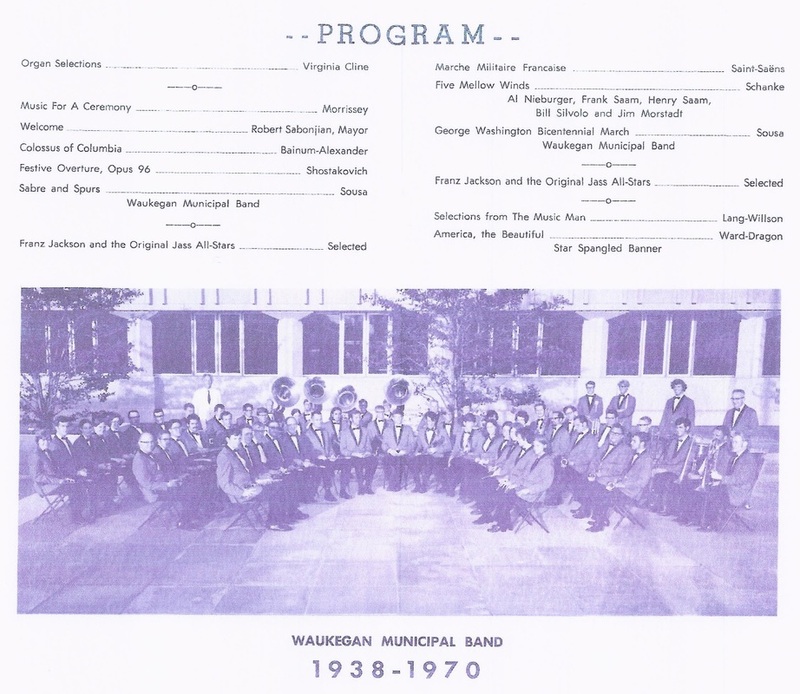 Note the variety of occupations and number of students represented by our Waukegan Municipal Band musicians, a trend throughout our history. Music Director Tom Gillette brought nearly a half century of community and professional band experience to the podium. 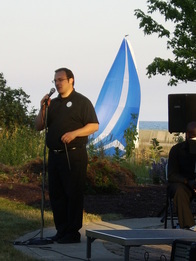 A Michigan native, Tom attended Michigan State University, where he studied privately with euphonium virtuoso, Leonard Falcone, and performed in the Symphonic Band, Wind Ensemble and the Spartan Marching Band. Upon completing his studies at MSU, Tom served for 8 years in the United States Navy Music Program, performing as Euphonium, Tuba, Trombone, French Horn Instrumentalist: Drum Major; Ceremonial Band Conductor; soloist and a variety of administrative functions. Following Naval service, Tom settled in Chicago’s North Shore area, as Managing Editor for several music periodicals. 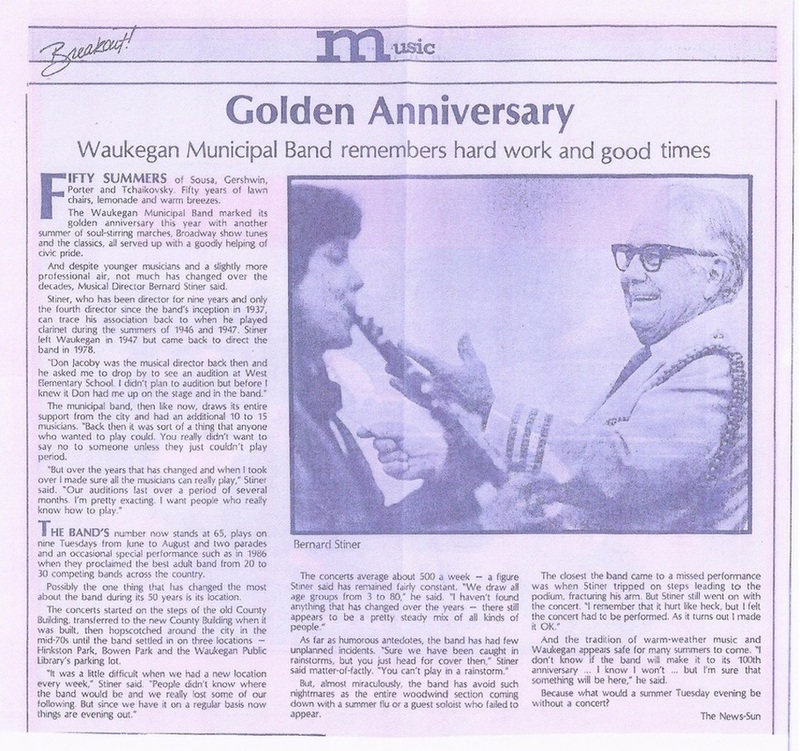 He had a busy conducting career in church music, local community orchestras and a 26 year tenure with the award winning Waukegan Municipal Band. He was a public school music educator, private teacher and has performed in 4 competitive British brass bands on both sides of the lake. He returned home to Michigan in 2010, and continues to enjoy the musical challenges and lifelong friendships that bonds musicians together. Tom joined his first community band at the age of 10 and has never missed a moment of participating in the joy of community music making. Dan Moran's eloquent and engaging human interest article from the July 4, 2003 News Sun about Joseph Laird's commissioned trilogy composition "Summer Music" during Tom Gillette's musical directorship. 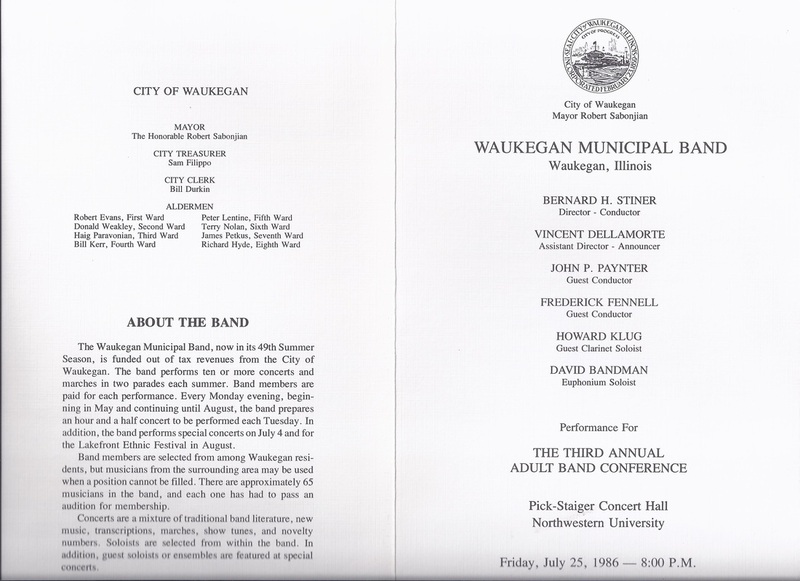 The three part audio files are available within our July 4, 2003 Waukegan Municipal Band performances, under the "Audio I / ﻿Multimedia" tab﻿. As Paul Harvey used to say, "and that's the rest of the story..."
- A new season and a new band playing famous musical "firsts"
Joshua Kumpula is a native of Waukegan and attended the Waukegan Public Schools. He earned the Bachelor of Arts degree in Music Education from Augustana College in Rock Island, Illinois, with an instrumental concentration. Mr. Kumpula also held the position of instrumental music teacher in Rushville, Illinois where his duties included serving as Assistant Director/Percussion Instructor for the Rushville-Industry Bands. Josh also played an integral role in the launching of the Rushville Community Band, made up of former students and community members. Mr. Kumpula obtained the Master of Arts degree in Music with a concentration in Conducting from Eastern Illinois University while serving as a Graduate Assistant with the University bands. 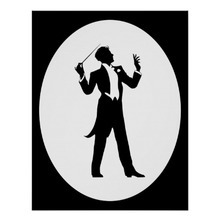 In this role he appeared as conductor of the University and Collegiate Bands as well as guest conducted the Concert Band and Wind Symphony. His teachers included Dr. James Lambrecht, Mr. Barry Houser, and Dr. Milton Allen. Mr. Kumpula currently serves as the Director of Bands at Waukegan High School, where he conducts the Wind Ensemble, the Concert Band, and serves as director of both the pep band and Bulldog Marching Band. During his time at WHS, the band program has experienced growth in a variety of ways, including student interest and enrollment. Mr. Kumpula has appeared as a guest conductor, instructor, performer, and adjudicator with various organizations and is a member of NAfME, Percussive Arts Society, and Phi Mu Alpha Sinfonia. 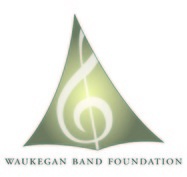 The Waukegan Band, keeping our performing arts musical heritage accessible and ALIVE. 2014 and forward, it's a music/Stiner/lake/sail homage.